Stalwart and strong, the thoughtful warrior picks an armoured look to match his resolve. 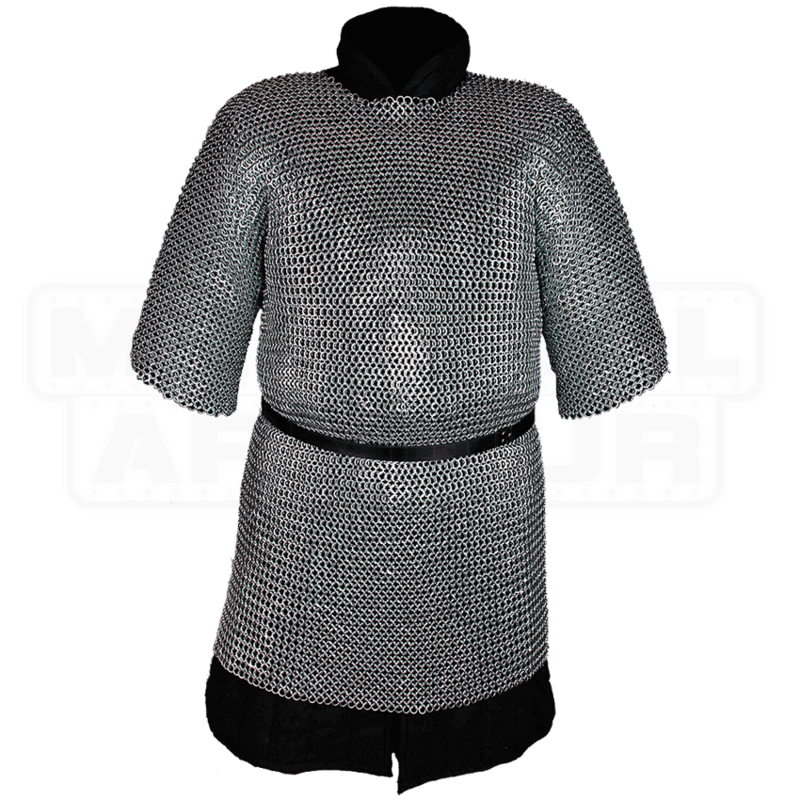 Great for LARP or costume use, the John Steel Flat Ring Chainmail Hauberk features flattened steel rings woven in a traditional 4-in-1 pattern. This steel hauberk has been galvanized with zinc to help protect it from rusting. 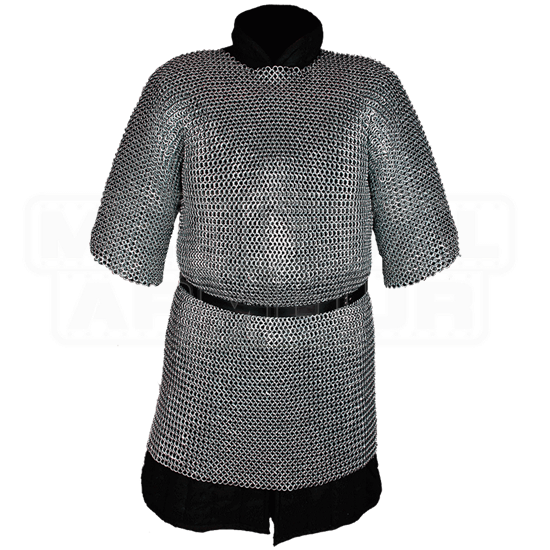 The length is intended to hit most wearers around the knee, and its short sleeve construction makes this chainmail tunic easy to layer and match with plate armour, leather armour, and other chainmail pieces. Chainmail can be heavy, so use a belt to help distribute its weight, as shown in the picture. As shown, this chainmail armour piece not only looks its best when worn over a gambeson, but is safer and more comfortable to wear. For medieval knight and fantasy warrior looks, a flat ring hauberk like this is a must-have for comprehensive coverage, protection, and style!